My name is Roger Wheeler. Thank you for the time to address this council. 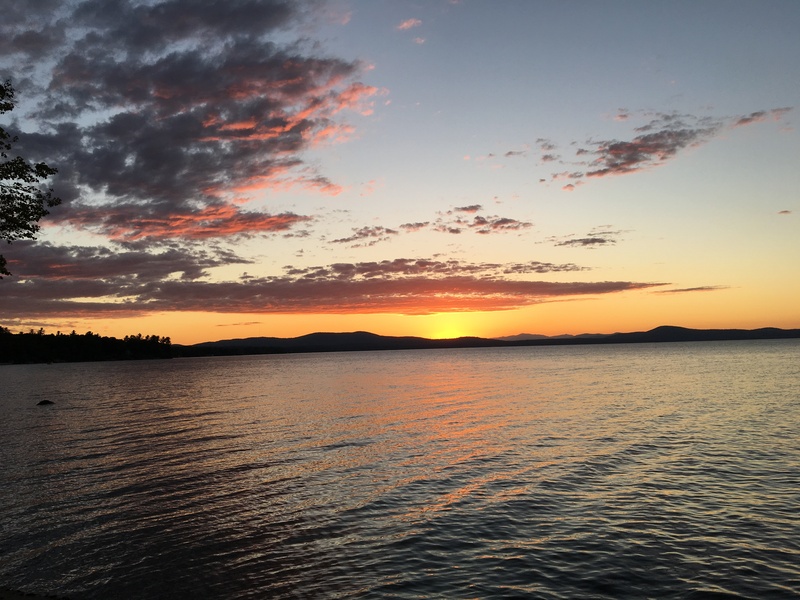 I am a director of the Friends of Sebago Lake (FOSL). I am here to provide some information covering the impacts of a private agreement between SAPPI, the City of Westbrook, Maine Department of Marine Resources, Maine Inland Fish and Wildlife, United States Fish and Wildlife and two organizations with lower Presumpscot River interests. This agreement if approved will destroy the opportunity to resurrect one of Maine’s historical finest sea run fisheries here on the Presumpscot River and Sebago Lake. The SA is an unfortunate spoiler of a great potential economic resource for the region. The Town of Gorham has considerable acreage bordering the Presumpscot River from above the Gambo dam to the RT. 35 bridge and would be denied here these valuable fish and the ecosystems they create. Since 2002 FOSL efforts have included work and funding to help restore the natural sea run fishery that once existed in the Presumpscot River watershed before colonial times and during periods of time up to the early 1900’s. From our research of primary historical documents it is now accepted by government agencies and the highest court in the land that the sea run salmon and other anadromous fish had unimpeded access from Casco Bay to Sebago Lake. In the late1800’s fishways on all the dams brought about sea run fish restoration and a resulting key economic boon to the entire Presumpscot River drainage. This positive economic impact was stated by government agencies of the State of Maine and the United States at the time and in following decades by government fishery experts. In 2006, the United States Supreme Court in the case of the State of Maine vs SAPPI in a 9-0 decision decided that dams on the Presumpscot River must have fish passage for sea run fish that historically migrated up this river. Fish passage at Cumberland Mills in Westbrook was built in 2013 because of this landmark decision. Saccarappa, Little Falls, Mallison, Gambo, and Dundee Dams under FERC licenses are all scheduled to have fish passage provided when sea run fish become present below the dams. Saccarrappa Dam was scheduled to have fish passage this year but due to discussions about how best to achieve passage it has been delayed. In 2016 private meetings without public knowledge were held between SAPPI, the City of Westbrook, Maine DMR, IFW, and USFW and the two lower river interest groups Friends of Presumpscot River (FOPR) and Conservation Law Foundation (CLF). In November of 2016, a private agreement called the Saccarappa Agreement (SA) was submitted to the Federal Energy Regulatory Commission (FERC) by Matt Manahan of Pierce Atwood LLP law firm representing SAPPI. FOSL believes the fish passage terms of this SA and the lengthy delays are acceptable for Saccarappa Falls given the complicated nature of restoring fish passage at this Westbrook vicinity. However, the clause on page 20 of the agreement (see page 3) which eliminates fish passage at Gambo and Dundee dams is unacceptable from a fish restoration perspective and it creates an alarming precedent that U.S. Supreme Court decisions can be cast aside by private interests in confidential meetings not open for public input. The opportunity for sea run restoration to the upper Presumpscot River and its entire watershed would be ended given the terms of this SA. This SA, before FERC will accept it, has to be approved by the Maine DEP as a formality which could happen as early as this Fall. FOSL attends to appeal to the Maine BEP if DEP should approve this SA. Our goal is to inform the citizens in this watershed about this Saccarappa Agreement and what its impact would be on the future environmental potential of this valuable resource. We have experience at reading and understanding these corporate submissions to the FERC but the sudden, and nebulous nature of this agreement which is cloaked in confidentiality legalities caught us by surprise and was difficult for us to understand clearly at first. Many of our questions to the agencies and groups involved go unanswered or when answered make no legal or scientific sense. We encourage the Town of Gorham and its citizens to understand from an ecosystem and economic perspective the potential losses to the waters of the entire Presumpscot River watershed above Gambo Dam should this agreement become law. We encourage the council and citizens of Gorham to support the 2006 US Supreme Court decision and the adherence to the present FERC licenses for all Presumpscot River dams. HISTORY OF THE STATE OF MAINE VOL. XV CONTAINING The Baxter Manuscripts EDITED By JAMES PHINNEY BAXTER, A. M., Litt. D.
The publication of the documents in this volume gives an idea of the important part sustained by the people of Maine in the War of the Revolution, and of the sacrifices made by them in what must have appeared to the world as an almost hopeless struggle. It also places in enduring form the names of men worthy of remembrance. I hope to be able to complete the publication of documents relating to the Revolutionary period within the next two years. In the Year of our Lord, 1785. “An Act for opening Sluice-ways in the mill-dam or dams which have or may be erected on Presumpscot River, in the County of Cumberland, and upon any Stream or Streams which fall into same river. of Presumpscot River in the County of Cumberland have heretofore, and still may, derive extensive benefits from the fishery on the said river and streams which fall into the same, unless prevented by the mill-dams which have or may be erected across the said river and streams, the increase or even continuance of which unregulated, for any considerable length of time, must inevitably destroy the annual course of the fish up said river. Court assembled, and by the Authority of the same, That the Court of General Sessions of the peace for the said county of Cumberland, be, and they are hereby authorized and directed, annually to appoint a committee, consisting of three indifferent and discreet persons within the same county, whose duty it shall be to take effectual care that sufficient sluice-ways be annually opened in all mill dams erected, or that may be erected across the said River or Streams, in order that the fish may not be obstructed in their passage up the same, and that the said sluice-ways be annually kept open during the season in which Salmon, Shad, and Alewives usually pass up the said River; which committee so appointed shall be sworn to the faithful discharge of the duties assigned them by this act, before they proceed to the execution of the same duties. owners of any such mill or mills shall neglect or refuse to open or continue open any such sluice-way or ways in their mill dams respectively, in every such case the said committee, or any two of them, are hereby authorized and empowered to cause the same to be done as speedily as may be; and the owner or owners so neglecting or refusing, upon notice given to them or any of them by the said committee or any two of them for that purpose, shall forfeit and pay a sum equal to the reasonable expence of opening and continuing open any such sluice-way or ways, with the addition of fifty percent. Thereto, which forfeiture shall be recovered by the said committee by action of the case to be by them instituted and pursued to final judgment and execution in their capacity foresaid. And it is further Enacted by the authority aforesaid, That so much of the monies recovered from time to time as will be sufficient to defray the necessary expences of opening and continuing open as aforesaid the same sluice-ways, shall by said committee be applied to the purpose, and the overplus accruing by such forfeitures, the said committee shall be accountable for to the several incorporated towns herein mentioned. And it is further Enacted by the authority aforesaid, that the said committee shall have such reasonable compensation made them from time to time, for their expences and services arising and performed pursuant to this act, by the several towns now incorporated or may be incorporated, in equal proportion, as do or shall stand in the last preceeding state tax-act, and which towns adjoin the same River, as the said Court may think it proper to allow; and that if any of the said incorporated towns shall neglect or refuse to pay their proportion of the sums that may be due to the said committee from time to time, for their expenses and services aforesaid, in every such case, the same committee be, if they see fit, to recover by legal process the whole sum that may be due to them from any one of the said towns which shall so neglect or refuse. In the House of Representatives, March 14, 1785. This bill having had three several readings, passed to be Enacted. Samuel A. Otis Speaker.In Senate, March 14, 1785. This bill having had two several readings, passed to be Enacted. Samuel Adams, President.